I’ve been slacking on 21. Eat a new food every month, so I’m ramping up and eating six new things by the end of the year. I reached out to friends for suggestions and boy did you all come through. I have so many leads. One of my most well traveled, experimental friends, who is super on top of the DC restaurant scene sent me one of the most amazing/disgusting lists of weird food, which included lamb brains. Not sure if I’m brave enough for that. 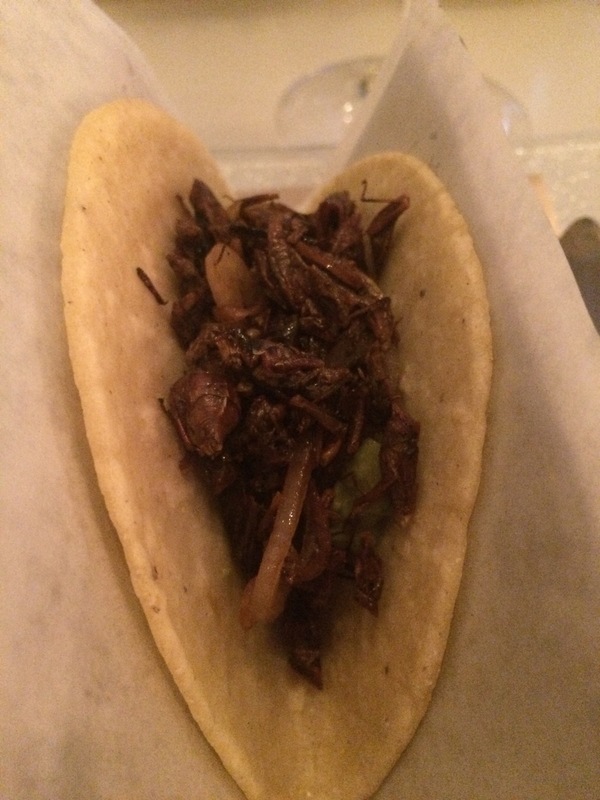 Also on her list and more tolerable: grasshopper tacos at Oyamel. I work near this restaurant, so this was a no-brainer. 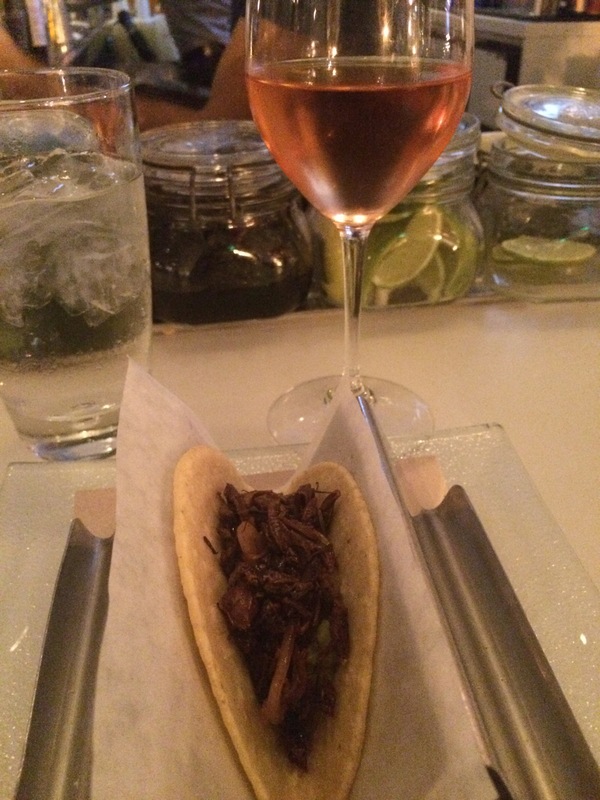 I ordered a rosé because I suspected this dish would need a sweet wine to offset its strong flavor. And I was correct. 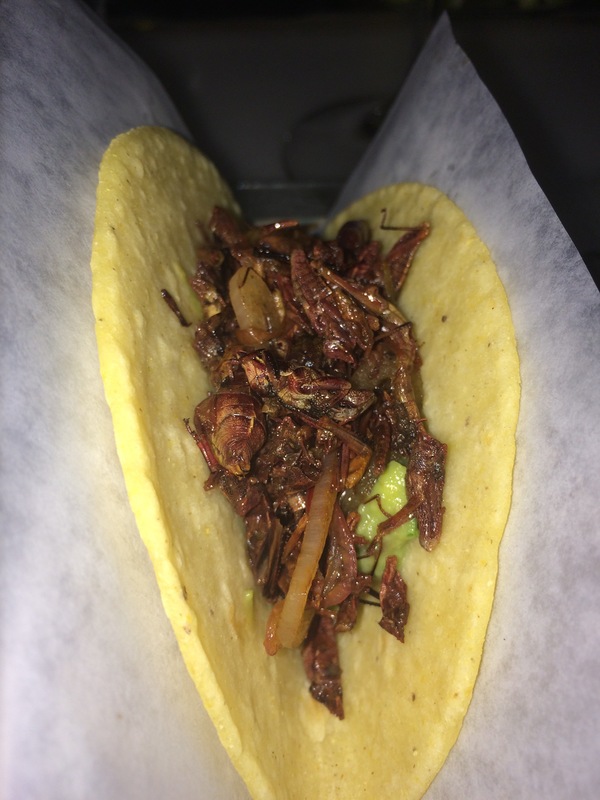 It was difficult to get over the fact that I was chewing a crunchy grasshopper leg, but the saltiness was actually more overwhelming. How gross does this look with the flash? You can see all of the legs. Ugh. One down, five more new foods to go in 2015!